I thought a good way to get my blog off the ground would be to participate in some blogging challenges. 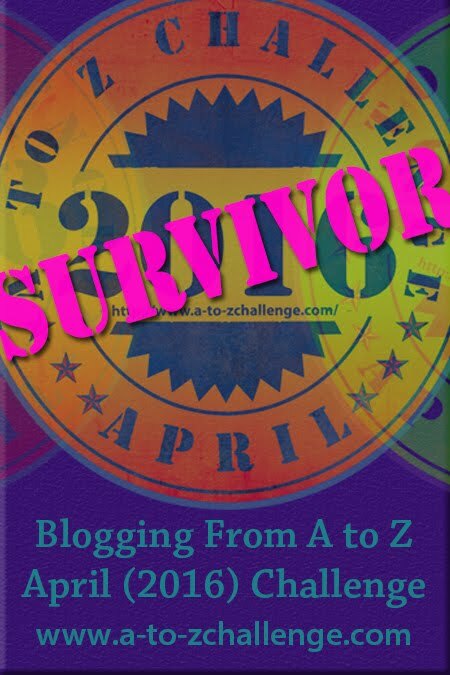 One particular challenge that caught my eye was the “Blogging from A to Z Challenge” scheduled for April 2016. I have always loved A-Z challenges. The first scrapbook I ever made was an A-B-C one. I love the creativity that comes out of working with constraints. I also like that this blogging challenge requires daily posts, other than on Sundays, for the entire month of April which will help me to build a strong foundation for my blog. While I actually revealed my theme earlier, as I didn’t realize there was a “big reveal” day as part of the challenge, I thought today would be a good day to update and highlight my theme a little further as part of the theme reveal. Since this site focuses on my love of all things Maine, I plan to keep the challenge posts connected to Maine in some fashion too. While my theme is Maine centered, the posts themselves will take a variety of approaches to highlight different aspects of the state. I am really looking forward to mixing things up and trying out new things. 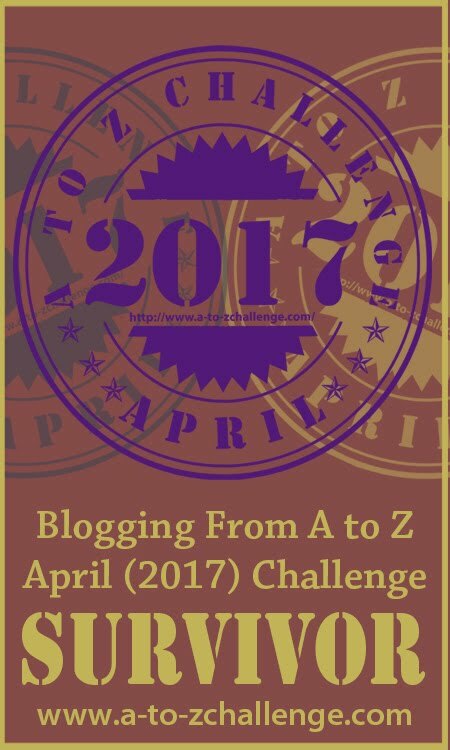 Please check back to this section in April to see all my official A-Z challenge posts. I’m looking forward to seeing what other people are going to do with their A-Z challenge too. Hi, I’m just stopping by from the big reveal on A to Z. I’ve never been to Maine, but it’s on my list of places I really want to visit. I’ve done the A to Z challenge for the last 4 years, and it’s lots of fun. Thanks for joining us. Thanks for stopping by my blog. I’m excited to do the challenge. I only launched my blog a few months ago so I’m hoping the challenge will help me to build up content as well as connect with other bloggers. Interesting! My blog is also just starting. Hopefully a-to-z can generate some interest, and hopefully I can keep posting regularly after April. I know very little about Maine, but my other blog that isn’t participating is a travel blog and I’ve heard good things about Maine. May need to check in to see what you’re posting. I love the idea of using the challenge to get to know other bloggers and to check out their sites. It’s really helpful to a newbie like me. Good luck with your new blog and with the challenge. I’ll be sure to swing by and check it out. Though I currently don’t live there, I am originally from Maine. I’ve been homesick for it ever since I left. I’m really looking forward to your posts! Thank you for visiting. I have a good friend who moved to the west coast over a decade ago, but she still considers Maine home. It stays with you! I’ll be sure to check out your posts too. I’m really looking forward to connecting with other bloggers. Thanks for visiting my blog. Looking forward to reading more about Maine; its a state I’ve never visited and one I might not make it to. Thanks for visiting mine too! Good luck with the a-z challenge. It’s going to be crazy busy but so much fun. I went to Maine once when I was a kid, but don’t remember much. Looking forward to your April posts! Maine is a wonderful destination. I hope you’re able to get back here some day. I’m new to the challenge, but definitely working my way through the a-z participants list. I’m excited to visit other bloggers and learn some things. I’m new to this world. Looking forward to seeing which first paragraphs you highlight during the challenge! Maine is a beautiful state so it will be cool to see what you feature! Thanks! I’m really looking forward to the a-z challenge. Thank you! I’m having lots of fun getting my posts prepped and am looking forward to visiting other blogs. I love your site. My youngest is a writer and I’m going to have her checkout your resources for teen writers. Welcome to the Challenge and kuddos for wadding in! Through the Challenge a person could, over the years, literally see the world I believe. People have highlighted certain states, certain cities, certain countries. They done libraries around the world and churches. It’s wonderful! Thank you for stopping by my blog! I love to travel and it’s so fun to get a feel for a place through other people’s blogs. I’m excited by the challenge and will be sure to check back to your site during April. I have a section on my site for childhood memories too. It’s always fun to look back on wonderful memories from the past. Hello there! I have only heard how beautiful a place Maine is. Looking forward to taking a tour. 🙂 Good luck! Thank you for stopping by my site. I’m excited (and a little nervous) for the a-z challenge to start! This one more blog on a state of America. Good readers world over will know more. I am thinking of coming and staying in states for six months. Useful to know about USA. There are many amazing places to visit in the states although, of course, I’m partial to Maine! I’m looking forward to your a-z posts and blog ideas. I’ve always wanted to visit Maine. I’ve heard great things about Maine’s seafood. Maine is a great vacation destination! I’ll definitely have a few seafood related posts during my a-z challenge. Welcome to the Challenge! I did a theme on Michigan (where I’m from) last year and its a lot of fun to learn about places in your home state! Thank you! Enjoyed that #azchat. It’s fun to meet other challenge participants. Looking forward to everyone’s posts.